Each year about this time in the Facebook group for new parents some parents post that they are really stressed about the preparation. I try to be as caring as can be and encourage these parents to begin to let go of the process and encourage their student to do the prep work necessary. Since tuition is now really high, especially for out of state students, I understand the need for families to monitor expenses and to be concerned with the purchases needed to report to The Citadel. For many alumni who tell tales of their parents dumping them at the gates and driving off on matriculation day these parental concerns confuse them. Sending a student to The Citadel today is a major investment. Out of state tuition is over $40,000 a year. Most families must watch their expense and it is a team effort to meet the expenses. 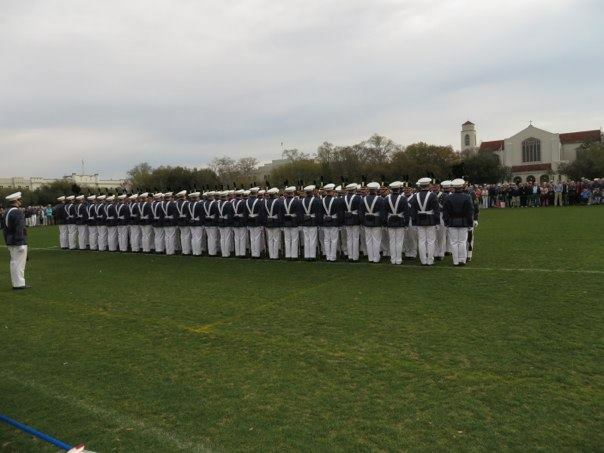 The Citadel is a leadership college. That means in addition to their academic major they will be learning leadership skills. Parents need to learn to step back and let their student take charge of their process. This includes getting everything gathered to report on Matriculation Day. Once they report you will not have any control of how your student handles their training. Start practicing letting go now. The new parent Facebook groups help with basic questions and support. 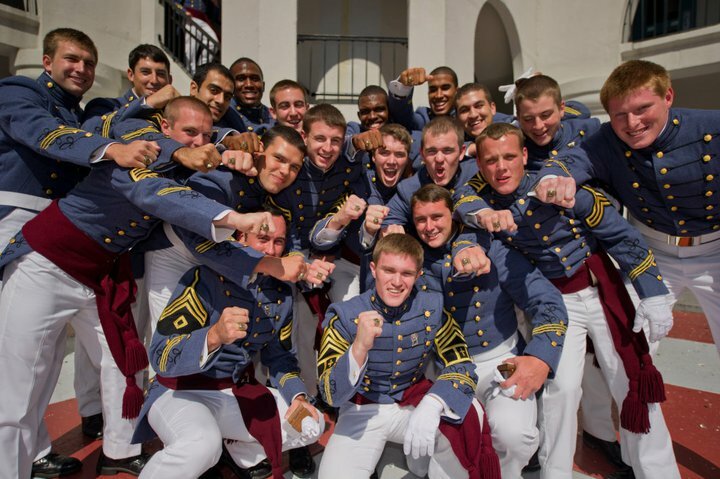 Do not spend your time trying to get everything “just right.” Each cadet and family are different there is not one right way to get ready for Matriculation Day. The future knob must prepare physically and mentally for the big day. They need items on the Success Packet list and should break in their shoes. How those things come together with vary with each person. The staff and cadet cadre have a strong tradition of training young students and molding them into strong cadets. Allow the process to work. If at any time you have concerns or questions, contact the parent liaison, Capt. Taylor Skardon, parents@citadel.edu. or one of the three Ombudspersons. Knobs in the class of 2019 study their Guidons. A 2019 knob reports to his company on Matriculation Day. Graduation is a few days away. The weather is looking iffy for Friday, but the forecast changes daily. I’ve compiled a few tips for parents as they head to Charleston for this huge milestone celebration. Be sure you have your camera battery charged up. Bring extra memory cards/batteries. Be prepared for rain with an umbrella and water repellant jacket or coat. Wear rain boots if you have them since it gets muddy with the rain. When taking photos have one person in your party take a photo from one end of Summerall Field to get a good shot of the grads the complete length of the field. The graduates go from being thrilled to be graduating to realizing that after Saturday the friends that have become family will be spread throughout the country and the globe. It helps to understand that their emotions can be all over the place this week. Before graduation on Saturday ask your senior where they will be sitting in relationship to the front dais (stage). They line up in alpha order, not by company, for graduation. Decide where you will meet after graduation BEFORE graduation. Some meet on the floor of the field house other prefer to meet up outside. Some want to get photos with their friends at a specific place. Having a short conversation ahead of time can expedite the meet up after graduation is over. I’ve enjoyed getting to know the parents of 2017 and hope to see many of you Friday and Saturday.